Iran Government planing to get monthly taxes from its central bank! Iran government has put up a proposal which will require the central bank to wire 50% of its profits immediately to the government. These payments will be paid as monthly taxes. In the initial budget draft, due to the expected difference between rates set in the budget law and open market rates, the government had predicted about 100 trillion rials ($2.38 billion) in currency revaluation profits from oil sales to be extracted from the central bank in the form of monthly taxes. Members of parliament took this out of the budget draft due to ambiguities, and the fact that the central bank would need to first assess its performance by yearend to pay up. Fast forward a year and a hefty government resource crunch later, and the tax proposal has come back to bite the central bank again. On Feb. 3, parliamentarians ratified an amendment to the annual budget law that legally binds the central bank to immediately wire 50% of its currency revaluation profits to the government treasury as taxes. The amendment is seemingly the product of lobbying by factions of the government, specifically the Management and Planning Organization, as a cash-hungry government faces the prospect of public demand for goods and services in the run-up to the Iranian New Year holidays next month. But in trying to keep face and provide for public needs, the government and parliament will be effectively strong-arming the central bank into exacerbating an inflation rate that some estimates put at higher than 40%. That will make life more difficult for many more middle- and lower-class Iranians. 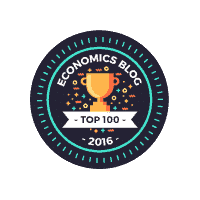 Econfip: A network of academic economists committed to an inclusive economy and society.. Interesting initiative by a team of economists. 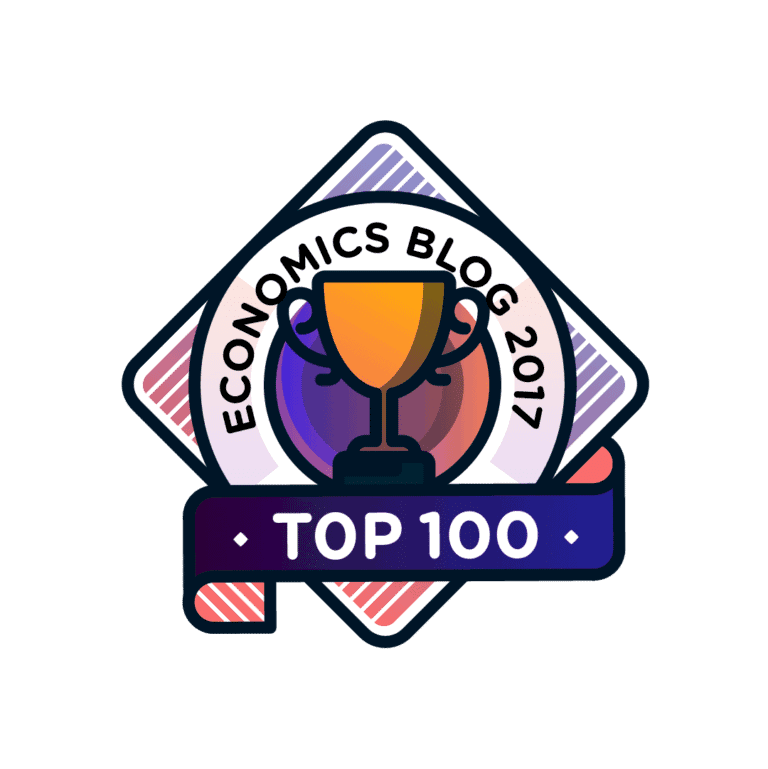 It is named Econfip or Economists for inclusive prosperity. We live in an age of astonishing inequality. Income and wealth disparities between the rich and the poor in the United States have risen to heights not seen since the gilded age in the early part of the 20th century. Technological changes and globalization have fueled great wealth accumulation among those able to take advantage of them, but have left large segments of the population behind. Advances in automation and digitization threaten even greater labor market disruptions in the years ahead. Climate change fueled disasters increasingly disrupt everyday life. This is a time when we need new ideas for policy. 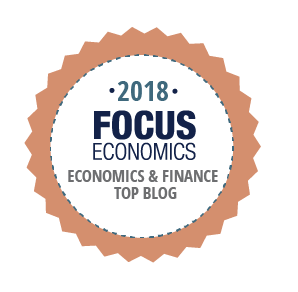 We think economists, among other social scientists, have a responsibility to be part of the solution, and that mainstream economics – the kind of economics that is practiced in the leading academic centers of the country – is indispensable for generating useful policy ideas. Much of this work is already being done. 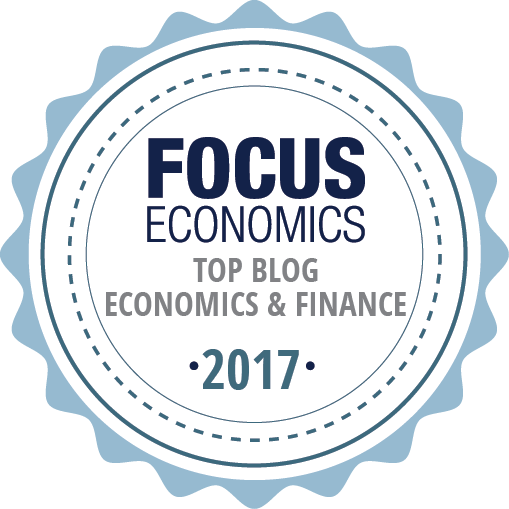 In our daily grind as professional economists, we see a lot of policy ideas being discussed in seminar rooms, policy forums, and social media. There is considerable ferment in economics that is often not visible to outsiders. At the same time, the sociology of the profession – career incentives, norms, socialization patterns – often mitigates against adequate engagement with the world of policy, especially on the part of younger academic economists. While prosperity is the traditional concern of economists, the “inclusive” modifier demands both that we consider the interest of all people, not simply the average person, and that we consider prosperity broadly, including non-pecuniary sources of well-being, from health to climate change to political rights. There are policy briefs on different topics as well on the website. Mr Espenilla, running Governor of the central bank of Philippines passed away on 23 Feb 2019. In a special meeting held on the same day, the Monetary Board designated Deputy Governor Maria Almasara Cyd Tuaño-Amador as BSP Officer-in-Charge effective immediately until such time that President Rodrigo Duterte shall have designated an OIC or appointed a successor. As usual good speech by Andy Haldane of Bank of England. The key to his speech is that humans have managed to be very creative in response to the several challenges posed to them. The same approach is needed to the challenges posed by the 4th industrial revolution. My new opinion piece in Moneycontrol. I argue how RBI is bringing changes for a post-LIBOR world. This is clearly part of the ongoing silent changes in the Indian financial markets. RBI has also been quite alert to these developments which needs to be appreciated. One could read this research note for the transition in US and this speech for transition in UK. Nice piece by Aparna Iyer of Mint on the MPC minutes of Feb-19 meeting. What made an inflation-worried monetary policy committee (MPC) turn into a growth benefactor in under two months? The minutes of the Reserve Bank of India’s (RBI’s) latest MPC meeting shows that the collapse of food inflation was not the only reason. Recall that the rate cut decision got four votes, with two dissenting voices, at the meeting earlier this month. A big surprise was that long-standing hawk Michael Patra voted for a cut. All members agreed that food inflation will remain benign for the next 12 months, even though they expected prices of vegetables to bounce back, showed the MPC minutes. But what spooked everyone was the threat of a global growth slowdown, and the probability of it adversely affecting the Indian economy, through the trade and investment channel. In particular the chart of different MPC member voting since Oct-2016 is really nice. Researchers of business and organisation history look at all kinds of cases. Seldom do we look at places where these research ideas are actually written which is universities and institutions. In this fascinating piece, Karl Rhodes documents history of John Hopkins University. In particular the story of Daniel Gilman who not just shaped the university but his ideas were adopted by other universities. America owes a lot to Gilman as his model helped American universities become the envy of the world. Such ideas were radical in 1872, a time when most American colleges still focused on teaching Latin, Greek, and mathematics to undergraduates. The advancement of knowledge — especially scientific research — was rarely encouraged. Gilman’s address was eloquent enough but not sufficiently persuasive. He struggled to sell his plan to state legislators who had their own agendas. He also encountered an aggressive farm lobby that wanted the fledgling land-grant university to focus primarily on agricultural and mechanical arts. After two years of slow progress and growing frustration, he resigned to become the first president of Johns Hopkins University — transplanting his dream from Berkeley to Baltimore. Back on the East Coast, funded by the unfettered bequests of Johns Hopkins — a recently deceased business owner and investor — Gilman and the university’s trustees established the first research university in the United States. It was a hybrid of the German model that emphasized graduate research and the British model that focused on undergraduate education. The founding faculty members added the uniquely American features of greater academic freedom and closer collaboration between professors and students. They made the laboratory and the seminar the primary centers of learning. They conducted research and published the results in academic journals, including several they started themselves. Brilliant piece by Kathakali Chanda in Forbes India. Singapore changes its legal tender limits..
Singapore has recently streamlined its legal tender limits. Harvard Univ’s Baker Library has organised an exhibit of Lehman’s history. New book on differences between American and Canadian financial system. Why did the Canadian financial system escape the devastation that the American system experienced in the Great Depression (although Canada did not escape the decline in economic activity) and in 2008? Indeed, why has the financial system of Canada been so much more stable throughout its history than the American system? It’s a question that many economic historians have thought about. Calomiris and Haber (2014) is a recent attempt to come to grips with this and other comparisons which highlight the instability of the American financial system. And I have done some work on this with Michael Bordo and Angela Redish (1994, 2015). From Wall Street to Bay Street sheds light on these questions. The book, I should note, is written for the layperson and not for the typical reader of EH.Net. One imagines (hopes?) that the intended audience might include a journalist, a politician, or a business executive looking for an explanation of a puzzling fact that might in turn affect what they write or do. Although Kobrak and Martin include some comparative charts at the end of the book, the text itself includes no charts, tables, or equations. As an explanation for lay readers, it works well. But, as I will explain below, I think it is also a book that professional economic historians will profit from reading. Joe Martin is the Director of Canadian Business History at the Rotman School of Management of the University of Toronto. Christopher Kobrak (an undergraduate philosophy major at Rutgers, a clear marker of excellence, and a Columbia Ph.D.) was at the Rotman School at his untimely death in 2017. They chose to tell the whole story of American and Canadian finance — insurance, investment banks, and so on, as well as commercial banking — chronologically. There are introductory and concluding chapters, and five chapters in which they take their story from the colonial period to today. What explains stability of Canada? What explains the relative stability of the Canadian system? Kobrak and Martin rely on two explanatory factors. One, that will be familiar to most American and Canadian financial historians, is Canada’s system of nationwide branch banking; a stark contrast with the United States which for much of its history had a fragmented banking system in which banks were always prevented from branching across state lines and in some cases were prevented from establishing any branches at all by unit banking laws. Most financial historians, I believe, agree that the absence of branching made American banks far more vulnerable to economic shocks than their Canadian cousins. The problem of state-centric regulation, however, was not confined, Kobrak and Martin show, to banking, but also troubled the American Insurance industry. This comparison illustrates one of the strengths of From Wall Street to Bay Street: its broad sectoral coverage creates opportunities for comparisons that test their conclusions about the origins of the difference in stability between the systems. The other explanation that Kobrak and Martin rely on is culture. There is a tradeoff, they argue, between innovation and stability. “American finance,” in their estimation, “has been associated with an abundance of the former and not enough of the latter, with Canada assuming the opposite approach” (p. 14). In their concluding chapter they say that “Americans have always exhibited a tolerance for recklessness in commercial innovation, which appears curious to much of the rest of the world, including Canadians.” A reference to Tocqueville, who said much the same, helps to establish the venerable lineage of their observation about different attitudes toward stability (p. 262). Their reliance on cultural differences inevitably raises the question of whether it is “Kosher to Talk about Culture” to quote the title of one of Peter Temin’s (1997) well-known papers. A reliance on cultural explanations is always problematic. It is far easier to suggest cultural explanations for economic phenomena than to test them rigorously. For that reason, many economic historians shy away from them. Kobrak and Martin, however, are not afraid. I was skeptical at first, but I found myself coming away persuaded that part of the difference in institutional arrangements (including regulatory structures) and records of stability in the two financial systems ultimately derives from different attitudes toward innovation and stability. Hmm…Should try and get a copy.. In 2010, the British bank Barclays came under investigation for manipulating a reference interest rate called the London Interbank Offered Rate, or LIBOR. At the time, LIBOR underpinned more than $300 trillion worth of financial contracts worldwide. Over the next several years, authorities would learn that multiple global banks, including U.S.-based institutions JPMorgan Chase and Citigroup, were guilty of manipulating LIBOR; the banks would end up paying more than $9 billion in fines, and more than 20 people faced criminal charges. The scandal exposed serious flaws in how LIBOR was calculated and spurred international regulators to seek out alternative benchmarks. In the United States, this effort has been led by the Alternative Reference Rates Committee (ARRC), a private-sector group convened by the Federal Reserve and other regulators. The committee has recommended that markets adopt a new reference rate, and although the transition is underway, there are still about $200 trillion — 10 times the level of U.S. GDP — worth of outstanding contracts based on the U.S. dollar LIBOR. (The rate is also calculated for the Swiss franc, the euro, the British pound, and the Japanese yen; before the scandal, LIBOR was calculated for 10 different currencies.) In addition, new contracts referencing the rate continue to be written, even though it’s likely to disappear after 2021. Will the financial sector leave LIBOR in time? LIBOR’s fall is as mighty an event as it can be…. How do people fall to Ponzi schemes in Ahmedabad of all places? U K Sinha, chairman of the Securities and Exchange Board of India (Sebi) expressed surprise at the number of firms raising unauthorised deposits from West Bengal, a state where the new Bandhan Bank is based. “Unauthorised money-raising is a major issue in east India. West Bengal is also the place where such mushrooming of firms has come up. The story needs to go much deeper as how such a large number of people get duped there,” Sinha said, adding the capital markets regulator has already shut down about 250 such illegal entities, with one crossing deposits worth more than Rs 50,000 crore. “Perhaps in eastern part of India, the economic activity, job opportunity (and) growth have not been in an egalitarian or disbursed way. This has been one of the primary causes (for chit fund scams),” he said here. Sinha added that even though one can argue that deepening of banking network could have been helpful, the “story goes much deeper”. Surprisingly, there is a long history of connivance and ignorance in West Bengal when it comes to money. My post looks at the issue. Recently, I came across this news on how people were tricked in Ponzi schemes in heart of finance- Ahmedabad. It said around 876 people have lost nearly 9 crore to 7 ponzi schemes in last 2 years. These are the official numbers as of now and actual numbers could cross Rs 260 crore. Nice bit on ECB website. Denmark is proposing to ban the usage of EUR 500 note as they believe it is used mainly for criminal and money laundering purposes. It seeks ECB’s advise and the central bank expressed caution against the move. Couple of points here. First, Denmark is part of the Union but does not use Euro as its currency. However, Euro is accepted as a means of payment especially in tourist places. Second, ECB has already stopped printing of Euro 500 note but it remains legal tender. Fascinating essay by Noel Grove, William Bushong, and Joel Treese. They track the history of White House architecture and its architects. In 1792, leading architects entered a competition to build the President’s House, George Washington judged it, and the winner built an American icon. Poland is Europe’s growth champion. What explains its success and can it continue? Marcin Piatkowski has recently written a book on Poland growth story. In this column he writes on the Poland growth story and gives a preview of his book. Amidst all the current political hoopla, the key story concerning Poland’s path over the past 30 years is not receiving the attention it deserves. The country has been recording high levels of growth since 1989 and is making strides in catching up with Western Europe. The Polish economy has become a key European success story. Since 1995, Poland has also become the fastest-growing large economy in the world among large countries at a similar level of development. It is beating even the Asian tigers such as South Korea, Singapore and Taiwan. 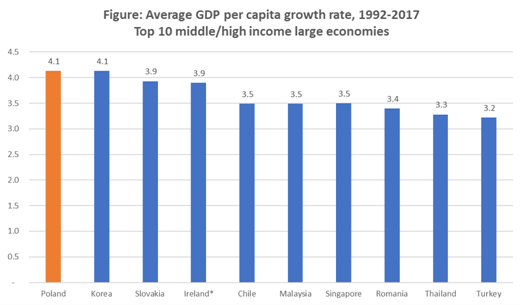 To get a sense of the historic achievement, it is worth recalling that, for most of more than a thousand years of its history, Poland (along with the rest of Central and Eastern Europe) was a perennial economic underachiever. The country was essentially stranded on the periphery of the European economy. Internally as well, Poles never managed to pull together enough social consensus to create a dynamic economy. It is no surprise under those circumstances that Poland’s per capita GDP, measured on a purchasing power parity basis, from the start of the 17th century until very recently, almost never exceeded half of the average level of Western Europe. And as recently as 1991, at the bottom of the post-communist recession, the average income of Poles plummeted to less than one-third of the real income of an average German (and to less than one-tenth in nominal terms). At the time, Poles even earned less than the citizens of Gabon, Ukraine or Suriname. In 1989, there were hardly any experts who would bet any money on Poland’s future economic success. And yet, almost 30 years later, Poland has become by far the most successful economy in Europe. Since 1989, it has increased its GDP per capita by almost 150%, more than any other country on the continent. By comparison, per capita incomes in the Czech Republic increased by only three-quarters, in Hungary by barely half, while the Eurozone’s performance improved by less than 40%. In purchasing power terms, Poland’s GDP per capita grew even faster from $10,300 in 1990 to more than $28,000 in 2018 (in 2011 constant dollars). In 2018, the average level of income in Poland exceeded two-thirds of the average level of the Eurozone. That is an impressive achievement for a country that only entered the EU in 2004 and had to shed the painful legacy of decades of Communist rule (See Figure 1 below). What explains Poland’s success? Good economic policies! In a new book, I argue that after 1989 Poland was successful for the first time ever because it adopted good economic policies, including a deep economic reform in 1990-91, fast institution building, foreign debt restructuring, a boom in education as well as an open and transparent privatization process. Crucial as well has been the fact that Poland, unlike most other Central and East European economies, did not produce oligarchs. At the beginning of the post-communist transition, it did not matter what last name one had, where he or she was from or what parents someone had. All of today’s billionaires in Poland are market-based and self-made. What drove good economic policies? Good economists as policymakers. Of course, the key question is this: If good economic policies drove good economic outcomes, then what drove good economic policies? For most of its history, Poland was a perfect illustration of an extractive society. It was the Second World War and – above all – the shock of communism that demolished the old, feudal, pre-modern and harmful social structures, opening up society. This newly emerged, socially inclusive society was not visible until 1989. It was buried under the distortions, dysfunctions and absurdities of a planned economy. But when real socialism collapsed, it established the foundations for the subsequent economic miracle. And yet, this element should not make Poland’s performance so different to that of similar countries like the Czech Republic and Hungary, where people had been better off than Poland in Communist times. Needless to say that all these countries, as well as the other ex-Warsaw Pact countries, shared a strong social consensus that their respective country should become like Western Europe and meet all the conditions to accede to the European Union as quickly as possible. This is where the second – and perhaps decisive – element explaining Poland’s success comes in. Almost the entire transition period, including those 17 different governments, was based on the high quality of policymaking elites, especially finance ministers and central bankers. Unlike their Eastern peers in Ukraine or Russia, for instance, Polish officials, even while representing quite different parties, knew exactly where they needed to be going. It helped that almost every single economic policymaker in Poland after 1989 had studied in the West, learning modern economics. In contrast, until 2002, no Bulgarian minister of finance even spoke English, to give but one example. In many ways, key elements of the Polish success story resemble that of the German post-war economic story, especially if one thinks of social and economic inclusiveness as a key driver of economic success. Thankfully, the dynamics of economic history do not just move in one direction. For that reason, it is relevant to ask what lessons Poland’s recent experience and current performance now holds for the German and the Western European economy. One key lesson is the importance of education: Today’s 15-year old high-school students in Poland are as well educated as their German peers, even though Germany spends more than 60% more on each student (in PPP terms, see Figure below). Over the last 20 years, more young Poles have also studied at the university level than in Germany (see Figure 3 below). The other lesson is the importance of investment in modern infrastructure: The level of Poland’s mobile broadband penetration, for instance, is higher than in Germany (Figure below) and the speed and the costs are lower, too. The third lesson is the importance of open markets: Poland’s economic success is a blueprint for the win-win benefits of the EU single market. German exports to Poland are now more than twice as high as exports to Russia. The benefits of open markets, supported by good economic policies, are also larger than the benefits of public subsidies: Eastern Germany, despite having received more than one trillion euro since the unification, has caught up on Western Germany less than Poland did with much less money (since its EU accession, Poland has received slightly more than 100 billion euro from the EU funds). But the key risk to Poland’s future is the weakening of the European Union. Without the EU, Poland would revert back to the dark periods of its history and be relegated again to the periphery of the European continent, where it has languished for long centuries in the past. It is a truth universally acknowledged that arguing about the definitions of terms like “capitalism” and “socialism” is a waste of time. So I will simply assert that the world has many flavors of capitalism — U.S./British, Japanese, Scandinavian, German, French/Italian/Southern European and others. I’ve known some genuine socialists who favor outright government ownership and control of the means of production, which necessarily means government making all the decisions about what is produced, where it is produced, how it is priced, who gets hired and how much workers get paid. But most people who talk a socialist game, when asked for real-world examples, tend to sidestep the more extreme (and less attractive) possibilities and point to European countries — in particular, to Northern European countries like Sweden, Denmark, Norway and sometimes Finland. The genuine socialists I know view these countries as sellouts to capitalism. The Scandinavians themselves are quick to deny that they are socialists, too. Interesting speech by ECB Vice-President Luis de Guindos. It gets to core of any institution in a democracy – legitimacy. What makes an institution like central bank legitimate for citizens? Or how does it earn its legitimacy?